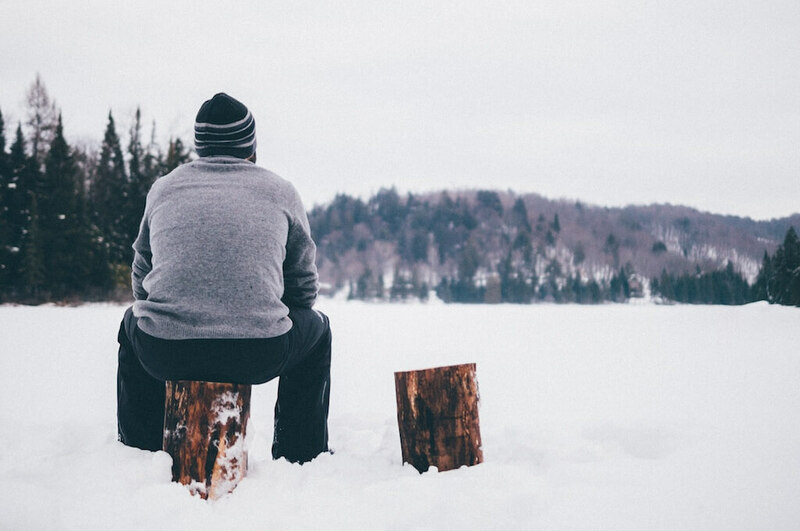 A merino wool mid-layer will act as an excellent insulating layer over your base layer to keep you warm. I’ve broken down the options into zip sweaters, crew cut sweaters and turtleneck sweaters. Zip sweaters let you adjust according to outside conditions. When it’s colder you can zip up to keep your neck warm. When it’s warmer, you can unzip to cool down. Icebreaker’s 1/4 zip convinced us thanks to its little touches such as thumb loops and heavier 320 g/m fabric weight. This is one of Icebreaker’s original sweaters, and it’s stood the test of time. The simple, timeless design works well either hiking or in causal business settings. It fits slightly looser than many other Icebreaker garments. 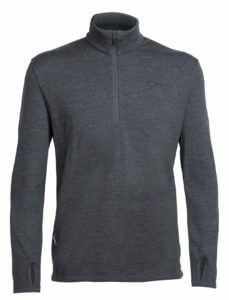 This lighter Minus33 1/4 zip works as a baselayer or just by itself in warmer weather. It’s made of 230 g/m fabric with 18.5 micron wool. Minus33 garments usually come with flatlock seams, and this one is no exception. 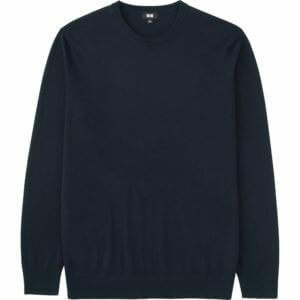 Crew cut sweaters work well if you are layering different garments, which is the recommended approach to performance merino wear. For example, you could wear a base layer under the crew cut sweater, and then wear a outlayer to protect you against wind and rain. This crew top gets our pick because of the superfine 18.5 micron fibers and 230 g/m weight. This US-manufactured top from Minus33 will work well as a mid layer. The crew-cut means it’s a slightly more casual feel to it. 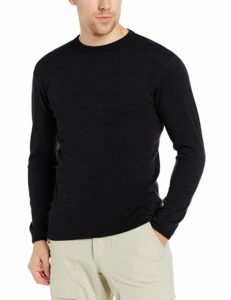 Uniqlo offer a range of Merino wool sweaters at an amazingly low price of $39.90. I found their material to be quite fragile, however, so I wouldn’t recommend it for outdoor wear. It will work well for in the office or around the home, however. The fabric is also 19.5 micon fibre, which is slightly coarser than other brands. They also have turtleneck and v-neck options. 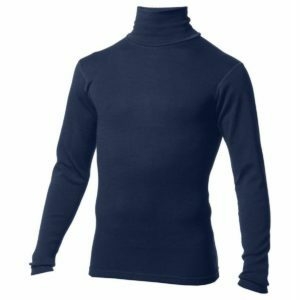 This turtlenecked top gets our pick because of the superfine 18.5 micron fibers and 230 g/m weight. This US-manufactured top from Minus33 will work well as a base layer or even by itself. 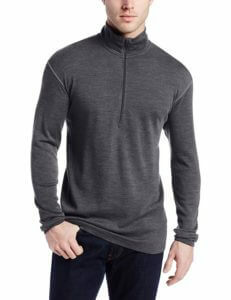 The turtle-neck style will also keep your neck warm. Do you perhaps know the weight of the Uniqlo sweater (…. g/m)? I’m thinking of buying one but I would like to know for which temperatures it is suitable. Thank you very much and keep up the great work! I’m afraid I don’t have that info to hand, and I couldn’t find it on their website. Thanks for your reply! I contacted them and asked, and they couldn’t tell me either. So I guess we’ll never know ?